Dinner is on the way in a village in sub-Saharan Africa. A knife cuts into the white flesh of a tuberous cassava root dusted with brown earth, and a pleasant scent reminiscent of marzipan or amaretto is released into the dry, hot air. A staple of this region and many other countries in the tropics, cassava is considered one of the keys to global food security due to its tolerance to drought and high temperatures, which are expected to increase in a changing climate. Consequently, production of this hardy, adaptable crop that already feeds a billion people across Africa, Asia and Latin America is fast expanding. But there could be a deadly catch – one that comes with the aroma of almonds. This is the perfume of cyanide, a poison produced naturally by cassava and the reason it needs careful preparation. says the leader of the Cyanogenesis Group at Monash University, Professor Roslyn Gleadow. And while the people for whom the tuber is a staple have developed processing techniques for safe consumption, climate change has stepped up the importance of these techniques by stimulating much higher levels of cyanide toxicity. Professor Gleadow’s group is working to determine just what those levels might be as part of an investigation into the impact that different climatic conditions will have on cassava and the implications for human food supplies, nutrition and safety through new research in collaboration with Australia’s national research organisation, CSIRO, funded by the Australian Centre for International Agricultural Research (ACIAR). “Achieving food security is not only about increasing yields, but also ensuring that food remains safe and nutritious,” Professor Gleadow says. Professor Gleadow’s research team has found that the incidence of cyanide-induced health hazards has the potential to dramatically rise in parallel with the more severe drought and higher temperatures projected in cassava-growing regions. Concerns for the future safety of this staple food come from research showing that the combined effects of higher temperature and drought stress on cassava make the plant more toxic and less nutritious. Specifically, the research in collaboration with former Monash ecologist Associate Professor Tim Cavagnaro found that drought with a high temperature of 34°C saw a 600 per cent increase in the potential cyanide content of tubers compared with drought at a relatively low temperature of 23°C. Drought seems to be the triggering factor in the increase in toxicity. In the absence of drought, high temperature alone tended to increase tuber yield and reduce toxicity. Professor Gleadow explains this is mainly because cassava naturally thrives in hot conditions, with optimal temperatures for the crop ranging between 30°C and 40°C. But these high temperatures also exacerbate drought, causing plants to become stressed, and it is this that intensifies cyanide production. “This highlights the importance of considering climate change as a multi-factor phenomenon, with important implications for those who rely on cassava as their main source of food and income,” Professor Gleadow says. 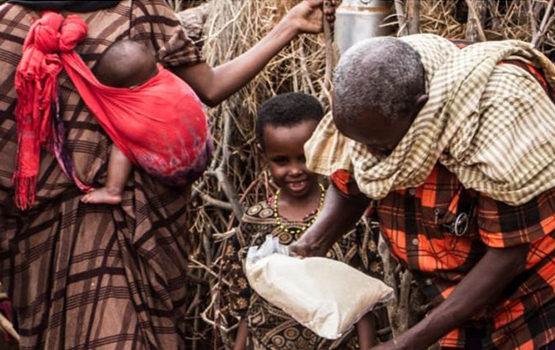 The research, originally funded by former Australian foreign aid agency the Australian Agency for International Development (AusAID), has provided further insight into the impact of drought on cassava’s nutritional value. Trials in which the crop was grown at low and high temperatures, and then either well watered or deprived of water, demonstrated that high-temperature drought shaved about 10 per cent off the nutritive quality of cassava tubers. Such a decline has consequences for food security because although cassava can be high-yielding in arid conditions, its tubers have a poor nutritional profile that is typically low in protein and micronutrients and high in carbohydrate. This means people would need to eat more cassava to compensate – compounding the health risk if cyanide toxicity has also risen. Thought has been given to finding a genetic modification solution, but Professor Gleadow says genetically modified (GM) cassava varieties are unlikely to help. It appears the plant’s cyanide production is linked to its growth, specifically its capacity to store nitrogen and manage abiotic stress (abiotic stressors are non-living, such as heat or salinity). So using GM technology to remove cyanide production may be counterproductive. Instead, Professor Gleadow feels the answer is going to lie in educating people about the risks and increasing uptake of the ‘wetting method’, which can reduce cyanide content in cassava flour between three and six-fold. This quite simple method, developed by the late eminent Australian plant biochemist and Fulbright Scholar Professor Howard Bradbury, involves making a paste from cassava flour, which is then spread into a thin layer and left in the shade for five hours, allowing most of the cyanide to escape as hydrogen cyanide gas. Authorised by: Chief Marketing Officer, Strategic Marketing and Communications. Maintained by: Science Webmaster Team. Last updated: Nov 2017.